English : Panoramic view of Tbilisi, Georgia. English : Octocopter fly over the Goetheanum located in Dornach (near Basel), Switzerland. English : Crew members refuel an A V-22 Osprey vertical-lift aircraft before a night mission in central Iraq. English : Phase and libration of the Moon at hourly intervals, for the whole year 2012. English : Purple anemone (Heteractis magnifica) and resident anemonefish (Amphiprion ocellaris) (clownfish) in East Timor. English : Marek Szufa in his replica of a Curtiss JN-4. On the same day, in a different plane, the pilot was fatally injured upon striking the river. He was rushed to hospital, where he died in ER. English : Sarcophaga (Liopygia) ruficornis flesh-fly mating. Pictured in Dar es salaam, Tanzania. English : Black-veined Moth (Siona lineata) is a European member of the family Geometridae. English : Orthodox church of Saint Blessed Xenia of Petersburg in Vinnitsa, Ukraine. St.Xenia was canonized on February 6, 1988. The Southern Bug river bank. English : Nomad horse riding, Zhanzong, Tibet, China. English : Arctic Wolf in the Wisentgehege Springe game park near Springe, Hanover, Germany. English : Beaches of Netanya, Israel. English : Scanning electron micrograph of a flea with false colors. English : Village festival in Nafadié, a small village about 85km northwest of Bamako, Mali. Ensemble with one konkoni and two djembes. English : A Sami family in Norway around 1900. English : Pipe organ tuning in the church of Notre-Dame de l'Assomption de Passy in Paris, France. English : Comma (Polygonia c-album) in Hamm, Germany. English : People celebrating the fall of Hosni Mubarak on Talaat Harb, Cairo. English : "Swansong" from the 2009 album Breadcrumbs, composed and sung by Josh Woodward, winner of the Ubuntu Free Culture Showcase 10.10. English : Ultrasound of a heart (3.3s). English : The Porte des Allemands ("German gate"), a fortified medieval city gate in Metz, in northeastern France. English : Anti-Putin rally against fraud in parliamentary elections, for holding new elections with all unregistered parties participating which became the biggest demonstration in Russia in more than a decade. Moscow, Bolotnaya square, December 10, 2011. English : The Paris business district of La Défense at night as seen from the Tour Défense 2000. English : A pair of Giraffes in Mikumi National Park in Tanzania. English : Herd of horses on summer mountain pasture in the Spanish Pyrenees, near the lake of Estaens (Ibón de Estanés) near the border to France. English : Drift ice at Elbe river near Dömitz, Germany. English : Underside of taro leaf (Colocasia esculenta), backlit by sunlight. Picture taken in a backyard in Auckland, New Zealand. English : Satellite images show the changing water levels in the Aral Sea from 2000 through 2011. English : A four segment panorama of Baltimore's Inner Harbor skyline taken at night from Federal Hill. 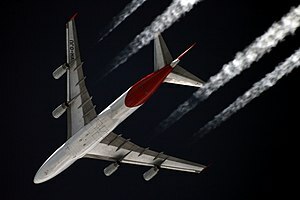 English : A Qantas Boeing 747-400 flying at approximately 11,000 metres viewed from the ground at Starbeyevo in Moscow. Black-tailed prairie dog (Cynomys ludovicianus) at Smithsonian National Zoological Park in Washington, D.C., USA. English : Black-tailed prairie dog (Cynomys ludovicianus) at Smithsonian National Zoological Park in Washington, D.C., USA. English : Large-flowered tickseed (Coreopsis grandiflora) at Jardin des Plantes in Paris, France. English : U.S. actress and singer Emily Osment performing at a concert in Boston in May 2010. English : Squashes and pumpkins. English : During the three-year trek of NASA's Mars Rover Opportunity from Victoria crater to Endeavour crater, rover planners captured a horizon photograph at the end of each drive. 309 images taken during the 13-mile journey appear in this video. Audio comes from rover accelerometer data adjusted to an audible frequency. It indicates vibrations of the rover: louder on rocky surfaces, quieter on sandy ground. English : European Mistletoe (Viscum album). Cross-section on a branch of a Hybrid Black Poplar (Populus × canadensis). Ukraine. English : 70 years ago today, The Arctic Giant, the fourth of the 1940s Superman animated Technicolor short films, was released. English : Portrait of Yellow-headed Amazon Parrot (Amazona oratrix) taken at the National Aquarium in Baltimore, USA. English : Khao Ta-Pu - James Bond Island, Phang Nga Bay, Thailand. English : An Aeroflot Airbus A330-200 climbs out of Sheremetyevo International Airport after take-off. English : Mexican waves performed by Asian Giant Honeybees drive hornets away from the nest. This page was last edited on 27 May 2011, at 17:13.